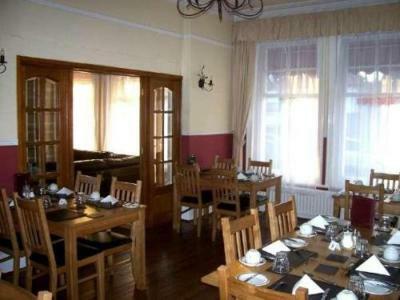 Lock in a great price for Kingsley Hotel – rated 9.6 by recent guests! It’s a lovely family run bed and breakfast. Really friendly and helpful. They were happy to serve breakfast early to suit me. Much appreciated. We had a lovely three night stay in The Kingsley Hotel. Sue immediately made us feel very welcome. It was my 30th birthday and Sue left a bottle of prosecco and some flowers in the room which was so very lovely. 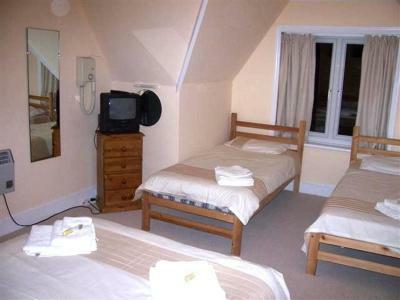 The location of the hotel is great; less than 10 minutes to Boscombe beach. Breakfast was delicious and my 1 year old daughter was accommodated very well with a highchair and offered her own meal. 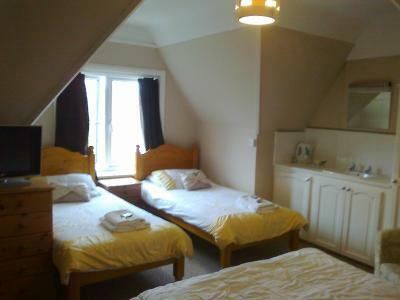 The room was very clean and perfect in terms of space for three of us. We ate at three local restaurants, all within a 10 minute drive, and these served very good food. 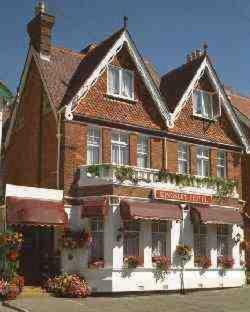 I would thoroughly recommend staying at the Kingsley hotel, especially if you have a family. Sue's hospitality and friendly nature definitely made our stay that extra bit special. Would love to come and stay here again next summer! 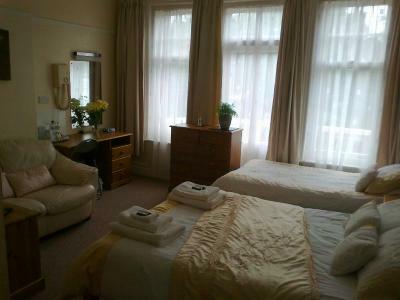 Excellent value, spotless throughout, kind welcoming host, very comfortable room. The room large and airy, nothing was any trouble for the host. 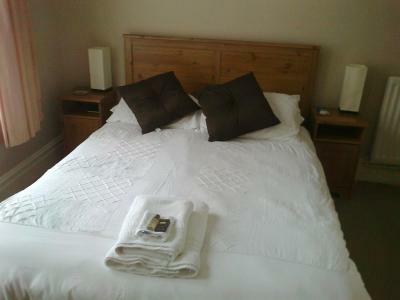 Very friendly staff, conveniently located, nice room and lovely breakfast. Super clean, comfortable,super breakfast selection and super staff. Host very friendly and chatty. We arrived early and were allowed access and a choice of three rooms. Cleaning staff all said hello. Breakfast was plentiful and high quality. Parking easy and we were permitted to leave car there for the day after we checked out. Extremely clean. Humble and friendly staff. Amazing breakfast. 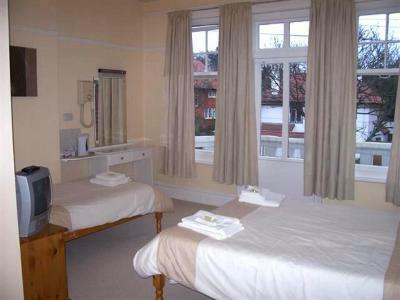 The pier, the shopping center and Chine Gardens are within walking distance of the hotel which has a peaceful location within the Boscombe Manor area of Bournemouth. 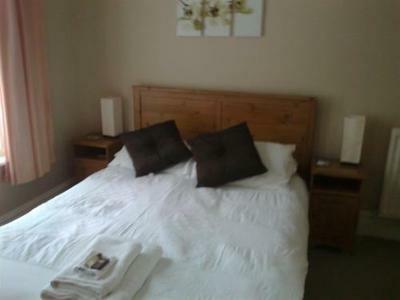 Tastefully decorated and comfortable rooms are all equipped with private bathrooms, TVs, alarm clock/radios, hairdryers and hot-drink making facilities. The room rate includes a full English breakfast. When would you like to stay at Kingsley Hotel? With traditional décor and an private bathroom, this room is equipped with a TV, alarm clock/radios, hairdryer and tea/coffee facilities. House Rules Kingsley Hotel takes special requests – add in the next step! Kingsley Hotel accepts these cards and reserves the right to temporarily hold an amount prior to arrival. Group bookings may be possible on request. Kindly note some of the accommodations is located on the third floor, and is accessible via stairs only. Therefore it may not be suitable for guests with mobility impairment. The staff were lovely and it was very clean. Breakfast was lovely. We noticed how clean the hotel was our arrival. The staff and the hotel landlord were so helpful and friendly. They even arranged for us breakfast one hour earlier than they would normally do. This helped us greatly to get to our destination right on time. I highly recommend this accommodation. It is only short and pleasant walk to the beaches. In the evening it was beautiful walk to Bournemouth for dinner and back. Clean. Great breakfast. Comfortable. Cheap! Nice welcome and parking. The room was huge and clean with a comfy bed. Good ensuite. Plenty of tea/ coffee/milk on the tray. Tasty full English breakfast, fresh fruit and yogurt , cereals also available. Will definitely be returning. Comfy bed, en suite shower and lovely breakfast. Excellent customer service. Super friendly and super clean. Great value for money. 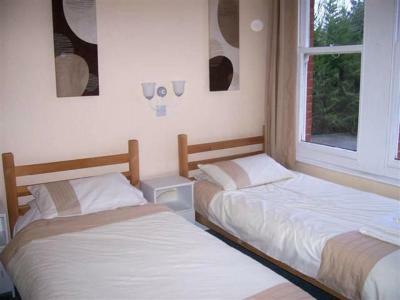 Handy parking and 5-10 min walk to beach. 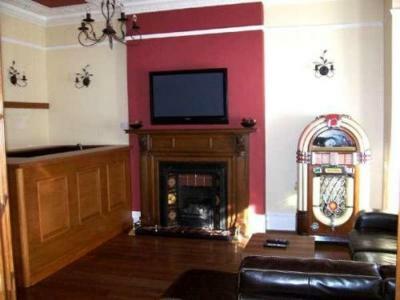 Great room, excellent value. Lovely host, great breakfast. I was at the top of the house and could not connect to the wifi, not a big problem as I had mobile internet. Great Breakfast freshly made. Good location, close to town and beach. Very clean and well equipped. Great value for money. 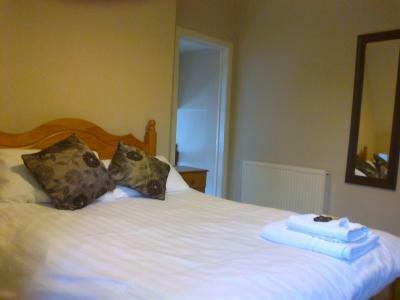 The staff were very welcoming, room was lovely and clean, breakfast was delicious. Sue, the owner, was extremely friendly and hospitable. Lovely breakfasts with plenty of choice. Great location for all things around Boscombe, Southbourne and Bournemouth.